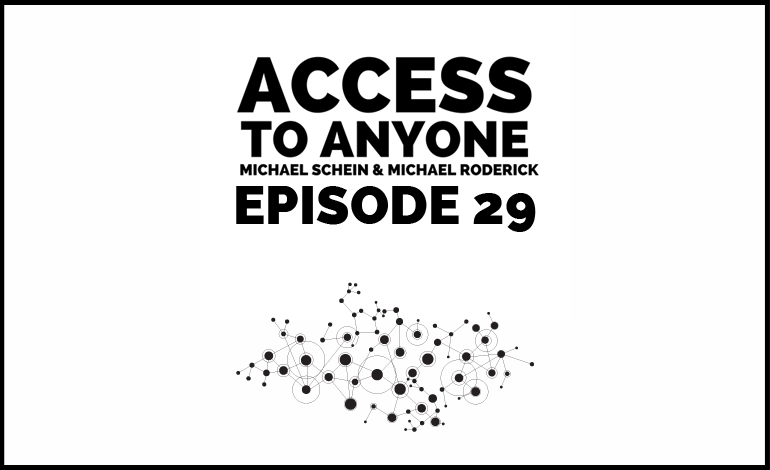 Since the launch of Access to Anyone, Michael Schein and Michael Roderick have interviewed some amazing guests like Unmistakable Creative’s Srini Rao, international best selling author Frans Johansson, and New York Times best-selling author Michael Port. But sometimes their best conversations happen when it’s just the two of them. On this episode, we present clips from the best of the co-hosts one-on-one talks, which cover how to borrow from comic books to improve your business, building an assembly line process for becoming a thought leader, and the best ways to get influential people to want to help you.